Beatrix will open its third location in Chicago at 834 W. Fulton Market in Fulton Market Wednesday. FULTON MARKET — Beatrix will open its third Chicago location in Fulton Market Wednesday, officials confirmed. The dual-concept restaurant, at 834 W. Fulton Market, will be Lettuce Entertain You’s first spot in the West Loop. Beatrix Fulton Market will include both a Beatrix Market and Beatrix, featuring a coffee bar serving up Intelligentsia and Metric Coffee, housemade pastries and healthy specials. The West Loop location will feature an outdoor patio and new brunch and bakery selections. 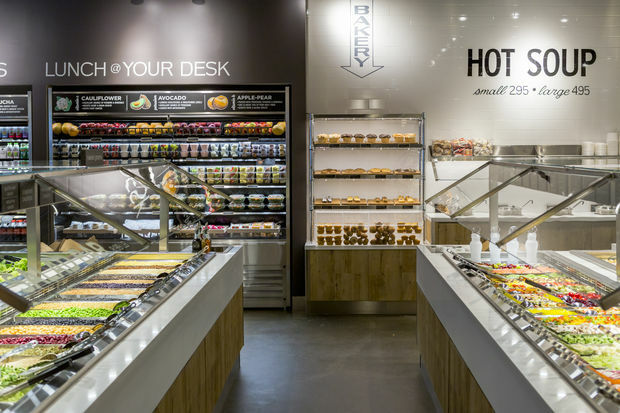 Beatrix's grab-and-go market, called Beatrix Market, will include a self-serve salad, soup and a hot food bar with a rotating selection of chef-prepared salads, sandwiches and snacks. 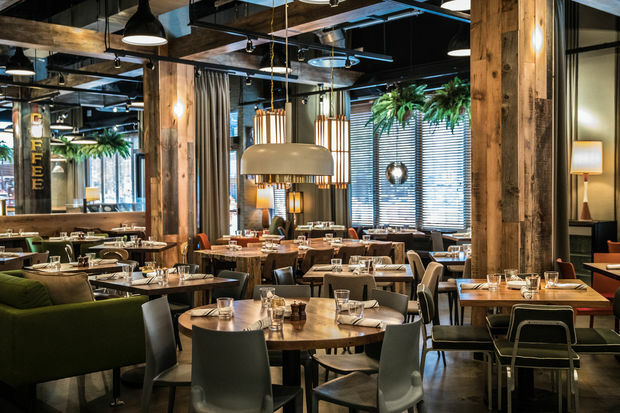 The Fulton Market location will serve vegan soup options and new menu items, including: asparagus potato hash, poke bowl with bulgur wheat, halibut with Thai watermelon salad and mushroom Milanese. Lettuce Entertain You Beverage Director Julian Cox created the Fulton Market restaurant's cocktail menu, showcasing classic cocktails and seasonal fruits, including: the Gin Fizz Tropical with Plymouth gin; Orgeat and pineapple; the Ward 8 made with Rittenhouse; Sherry and Pixie Tangerine; and the Rose All Day with Ford’s gin, Encanto Pisco, Rosé syrup, grapefruit and lime. The wine collection, curated by Lettuce Entertain You Wine Director Ryan Arnold, features domestic and international selections. Beatrix is located next to Kuma's Corner, which opened in the Punch Bowl Social development on Fulton Market last week. The Lettuce Entertain You Enterprises restaurant concept was created by founder Rich Melman, Marc Jacobs, the restaurant group's executive partner and president and chef partners John Chiakulas, Rita Dever and Susan Weaver. Beatrix will be open for breakfast, lunch and dinner from 6 a.m. to 11 p.m. Monday through Thursday; 6 a.m. to midnight Friday and Saturday; and 6 a.m. to 10 p.m. Sunday. Weekend brunch will be served from 8 a.m. to 3 p.m. Saturday and Sunday. Beatrix Market will be open from 7 a.m. to 7 p.m. Monday through Friday.